Non-toxic to humans and pets alike. Effectively eliminates bed bugs on contact. No wait time to use furniture or bedding treated. Kills all stages of life in bed bugs. No harsh smells or odors. Customers report spray only working when sprayed directly on each bed bug. Srills Bed Bugs Bully is an all-natural, non-toxic insect spray that specifically targets bed bugs. Designed to handle mild to moderate infestations, Bed Bugs Bully kills bed bugs on contact, instantly eliminating your problem at the source. Additionally, the spray offers residual protection by continuing to fight off bed bugs and deter them from the sprayed area. It will kill the bed bugs, the nymphs, and any eggs that may be in the area. With just two to four treatments, the Bed Bugs Bully can conquer your problem. The Bed Bugs Bully spray is designed to be safe to use. You can spray this throughout your home without fear of harming small children, family members, or pets. It will not leave stains; in fact, it can be used on several different surfaces without worry. You can even continue using linens or furniture shortly after using this product. Since there are no harsh chemicals in this spray, you will not be left with a harsh odor. The scent of the Bed Bugs Bully is very mild. This eco-friendly treatment has earned top ratings in this market. It’s an effective and easy way to get rid of bed bugs, and customers love that it is safe to use in homes and around pets and loved ones. A quality product, the Bed Bugs Bully is a great product to try out. The Bed Bug Bully uses all-natural ingredients in its composition. It is eco-friendly and won’t harm the environment, as its ingredients come straight from the environment. Without harsh, synthetic ingredients and chemicals, this product is much safer than others available. It is safe to use around small children and pets alike. This spray is designed to have lasting effects, meaning it will continue killing bed bugs long after you spray it. This spray kills bed bugs on contact, stopping them dead in their tracks. This is a great feature, because you know when you see them, you can kill them. However, the better half of this feature is the residual effect. This spray is designed to have lasting effects, meaning it will continue killing bed bugs long after you spray it. TThe Bed Bug Spray works on a variety of surfaces without putting them in danger of staining. Additionally, this spray won’t leave you with a foul, chemical odor like other sprays will. The scent is very mild and not at all harsh, making it more pleasant for your home. Since this spray can be used on all surfaces without fear of staining, you can certainly use it on furniture. You can even use the furniture not long after spraying. The spray will not stain you or your furniture. 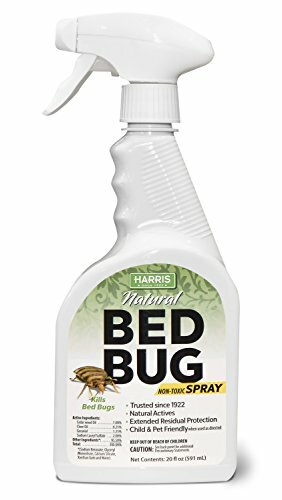 This spray can be used whenever you see a stray bed bug and can be reapplied to surfaces over and over again. Although the product makers recommend sticking to a regular schedule as long as your bed bugs problem persists, they also say that you can feel free to use this product as much as you want. Since it is not toxic, you do not have to worry about ever using too much. This spray can be used whenever you see a stray bed bug and can be reapplied to surfaces over and over again. Use it however you need it. In our experience, this spray did in fact kill bed bugs on contact. Its instant-killing feature definitely holds firm, as bed bugs drop dead when they are directly hit with this product. It is very easy to use and as simple as it looks; all you have to do is point and spray and you are done. We have noticed that the spray leaves a mild but pleasant peppermint smell, which is nicer to have in your home than the smell of chemicals or even a fake smelling lemon scent. The one problem we saw with this spray was that the residual effects did not seem to hold up as well as the product claims they will. 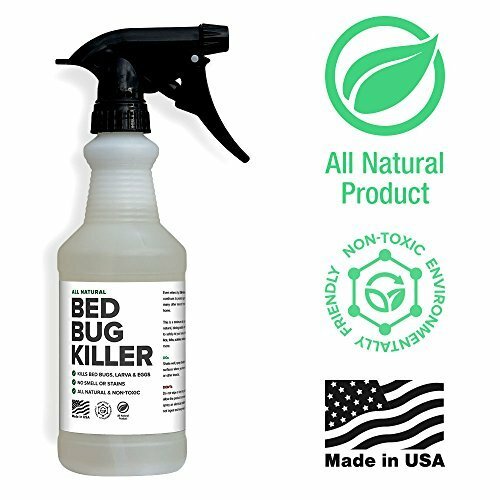 We have found that while this product will kill bed bugs when sprayed directly on the bugs, it does not necessarily always keep the bed bugs away long-term. Spraying this on linens, furniture, etc. simply for defense and residual protection did not seem to fully deter all of the bed bugs.